Scroll down for an overview of each of these resources, or click on any the above links for more detailed information. Have a resource you’d like to see here? Contact Us – we’re always looking for more ways to help our visitors! Save up to 2/3 on your Training Costs! Your organization could get 2/3 off the cost of sales and customer service training workshops! Learn more about this great opportunity! Not sure which program is for you? Check out our Top 5 and Top 10 most popular workshops or download our Return on Investment Training Brochure. How’s your Customer Service? 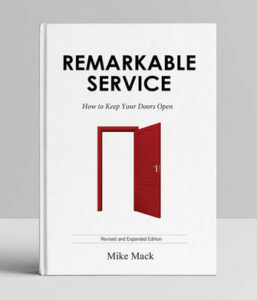 Read Remarkable Service to improve your business! Remarkable Service, written by Mike Mack, owner of X5, is not only for an elite hotel or a luxury car dealership. Any business in any industry can be remarkable. Learn what it takes to deliver Remarkable Service today, and discover some of the little things that make a big difference! How are your Leadership Skills? Read Stop Talking… Get It Done to improve your business! 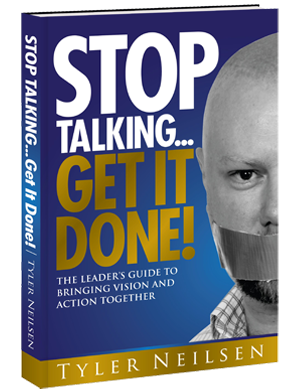 Stop Talking… Get it Done, written by Tyler Neilsen Vice President, Leadership Development at X5 is the leaders guide to bring vision and action together. It describes how entrepreneurs and business owners can create their vision and take simple steps to making it a reality. Email info@x5management for a FREE copy of either book!